I don’t think I’ve ever been this excited about receiving a book from NetGalley for review, ever! Karin Slaughter, as you probably know, is my favourite author. Hands down. The woman is phenomenal and her work is totally up my alley – it is so dark and brutal and unforgiving, and you get so hooked on her characters, they just draw you in. When I was granted access to this, I pretty much did my nut. But enough about that. How did the book hold up for my excitement? W.O.W. This was one hell of an amazing read! Really. I was drawn in from the first few opening pages, and got hooked on these characters within moments. Slaughter delivers, once again, a solid story, told with such finesse. You get drawn in. The characters become genuine, real people to you, the women are strong (I will always appreciate this), and you never feel like you are reading a book. It is like someone is telling you this story. I was a big fan of the characters in the book. Sam, Charlie, Rusty, Lenore and Ben all brought a distinctly unique voice to the book, and I appreciate that. You always knew who was who and what was going on. You could identify with each and every one of them. Rusty is described in such a way that even though the town hates him on principle, you cannot help but like the man. He is witty and entertaining and loves his kids. Lenore is strong and stands her ground. Charlie, while totally damaged, is difficult to hate, though originally you think you are going to. Sam, brusque and stubborn as she is, has such a brilliant mind. Ben is absolutely adorable, and a strong, supportive man. I really liked it. The story that Slaughter tackles here is a heavy one, something I know Americans are particularly touchy about – school shootings. They are vile things, and a horrible, tragic occurrence. Slaughter delivers the goods here again in terms of story – we have a truly savage, brutal back story for the Quinn family, and to see how they all come together again 28 years down the line over a school slaying is quite something. Slaughter gets right up to her elbows in the narrative. The writing flows smoothly and is genuine. I barrelled through this book. I did not want to put it down. I was engrossed for every single second, and thoroughly enjoyed the characters and the story. I was hooked, plain and simple. Definitely one of Slaughter’s strongest novels, and very interesting to see a story told from the perspective of the sisters. Absolutely a solid read and well worth it, I highly recommend this standalone novel from such an accomplished writer. 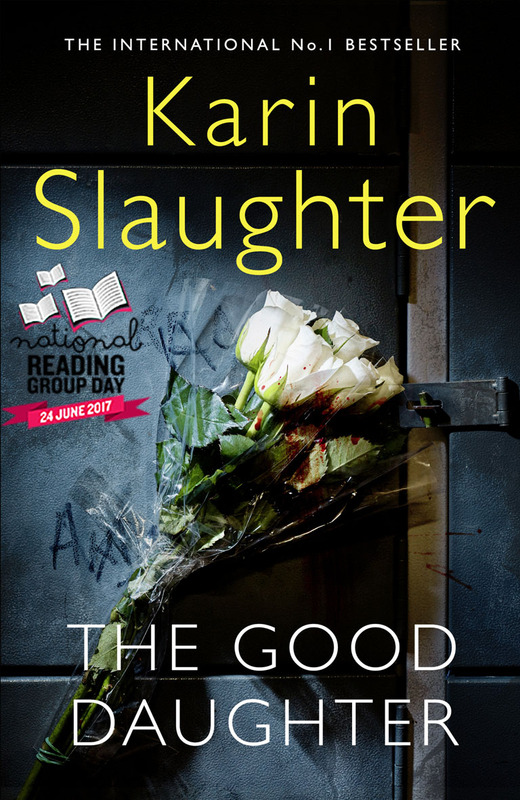 This entry was posted in Books and tagged book reviews, books, brilliant, dark, excellent, Karin Slaughter, mystery, standalone, well worth the read. Bookmark the permalink. I have read just one Karin Slaughter book, but I absolutely loved it. I can’t think why I never went on to read more. Should check them out. I highly recommend you do 😊She’s exceptionally good!